German jurist; born in Wollstein, province of Posen, Jan. 17, 1833; died in Berlin Oct. 18, 1896. After practising as an assessor in Berlin, he received the appointment of "Rechts-Anwalt" in Fraustadt, where he at once began his literary activity, delivering lectures on legal subjects. Among his writings of this period are to be noted: "Der Staat und die Juden im Norddeutschen Bunde: Ein Mahnruf an das Norddeutsche Parlament," Lissa, 1867, and "Die Zweite Instanz in Bürgerlichen Rechtsstreitigkeiten," Berlin, 1871. In 1872 he returned to Berlin and engaged in practise there, first at the Stadtgericht, then at the Landgericht,finally gaining admission to the Kammergericht. He secured a very large and influential clientage. 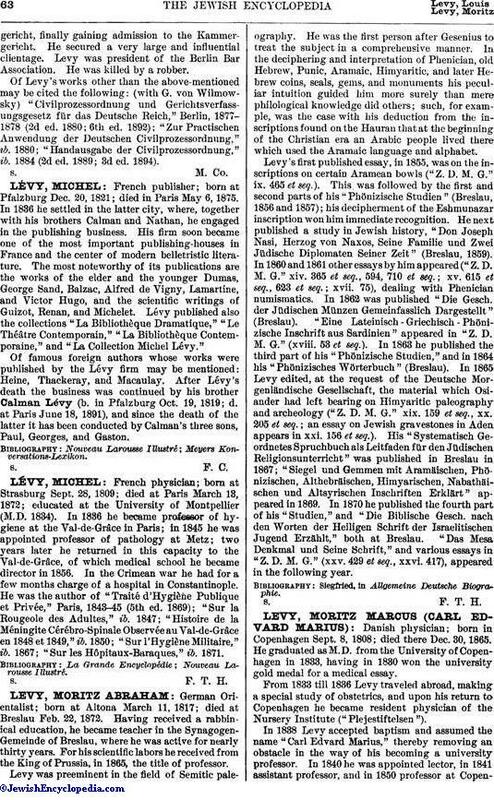 Levy was president of the Berlin Bar Association. He was killed by a robber. 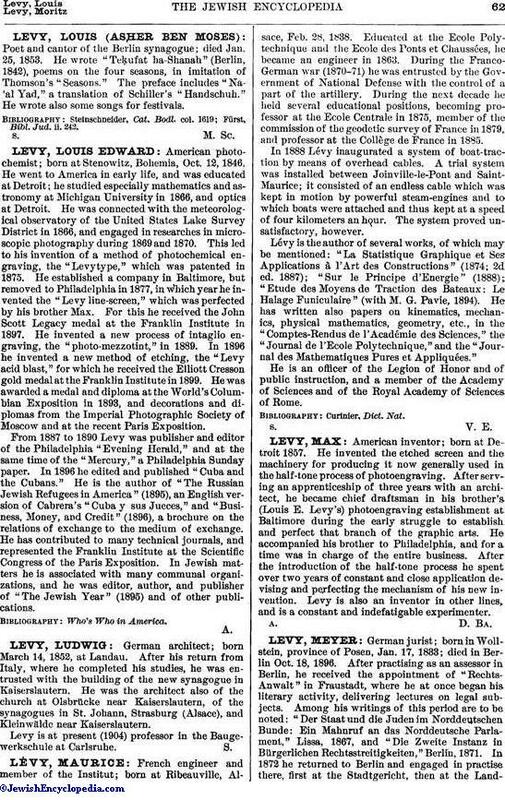 Of Levy's works other than the above-mentioned may be cited the following: (with G. von Wilmowsky) "Civilprozessordnung und Gerichtsverfassungsgesetz für das Deutsche Reich," Berlin, 1877-1878 (2d ed. 1880; 6th ed. 1892); "Zur Practischen Anwendung der Deutschen Civilprozessordnung," ib. 1880; "Handausgabe der Civilprozessordnung," ib. 1884 (2d ed. 1889; 3d ed. 1894).